For leather boots the easiest and most effective way to remove salt stains is to combine about a tablespoon of white vinegar and a half cup of water. To strengthen the mixture add more white vinegar a tablespoon at a time. Use a soft cloth to remove the salt stains. Your cloth should be damp, but not dripping. Using too much vinegar could damage the leather. For suede boots the process is similar, but instead of water apply a touch of vinegar to a suede brush. A suede brush has soft bristles and is ideal for cleaning any sort of suede material. A good substitute would be a soft-head paintbrush. This method also works on fabric and faux leather shoes, and removing salt stains from cars and floors (tile and hardwood). Make sure you are using warm water and mix just a tablespoon of vinegar. For rubber boots. 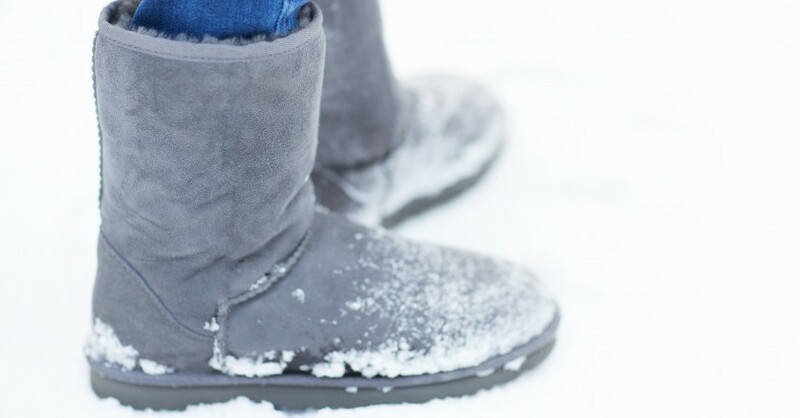 the most durable winter footwear, mixing dish soap and water will quickly eliminate any salt stains. Rinse away any of the stains with regular tap water. Although we wonâ€™t clean your shoes for you, Plow Connect will plow your driveway. Ordering a one-time-only plow is really easy! Just follow the link below.